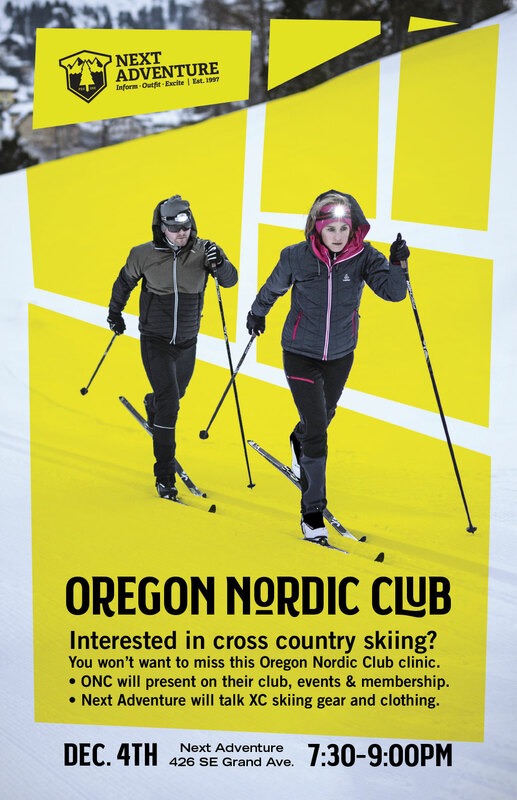 Are you interested in cross country skiing? You won't want to miss this informative and FREE clinic presented by the Oregon Nordic Club and Next Adventure. ONC will present on their club, events, and membership. Next Adventure will talk XC skiing gear and clothing. December 4th, 2018 from 7:30 - 9pm at the SE Stark/Grand store.